Choosing an ESD floor can be confusing. In this video, we explain the benefits of working in partnership with an expert in static-control flooring. We'll explain what you should look for in an ESD flooring partner and the service and advice you should be able to expect from a reliable expert. Our glue-free floating floors for PSAPs are easy to install over almost any surface, including old floors, without disrupting communications. 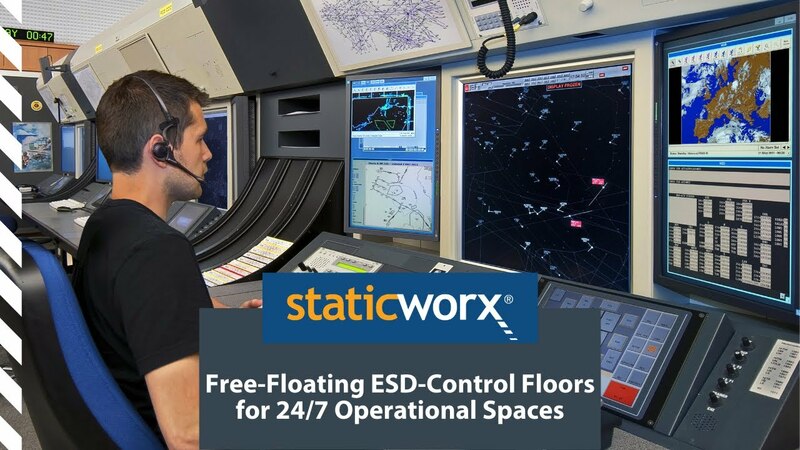 With Staticworx floating floors, there's no need to vacate space or move staff, equipment or furniture. Simply position our FX carpet over Staticworx GroundbridgeTM then join the corners with TacTiles. For conductive glue-free (GF) rubber, peel the paper from the back of the tile and lay the tiles as in any other installation. Our glue-free floating floors can also be installed one-to-one over Tate and Haworth access flooring panels. 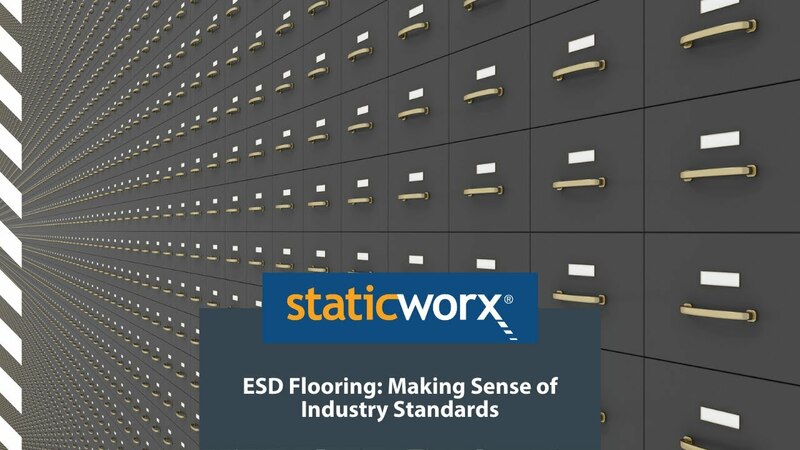 All Staticworx floors meet the most stringent ESD standards. We keep you grounded. 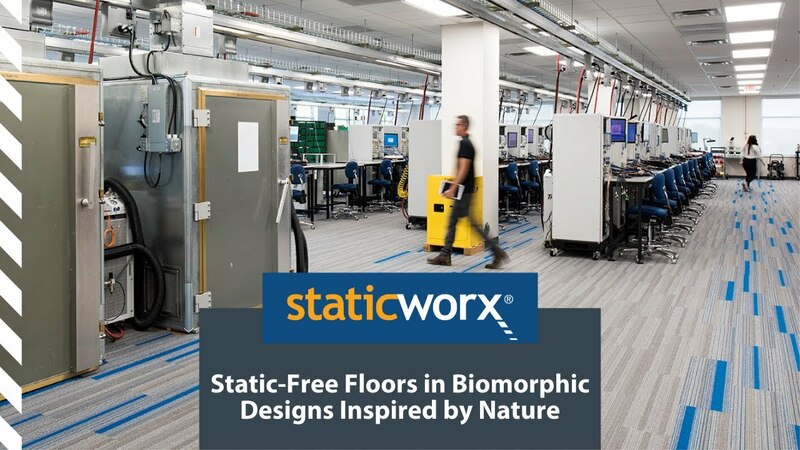 Staticworx offers static-free floors in biomorphic designs inspired by nature. Studies show that bringing nature into the workplace inspires creativity, and promotes well-being and a sense of connectedness, resulting in higher levels of employee satisfaction and greater productivity. 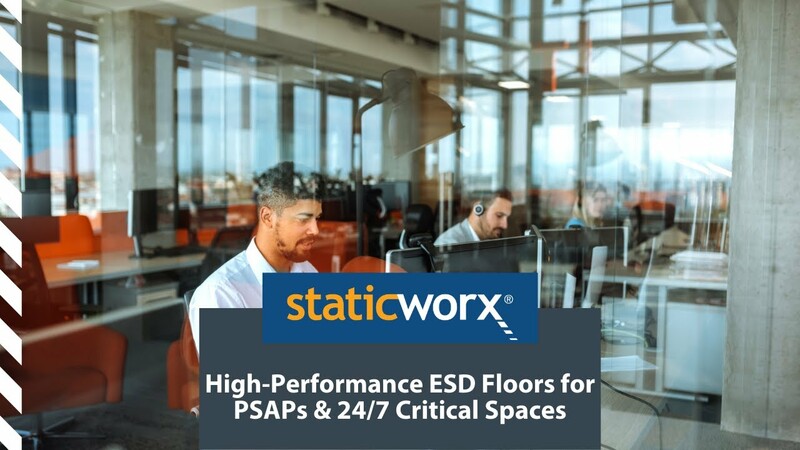 Our static-free floors protect electronic equipment from damage due to electrostatic discharge and meet the most stringent ESD standards for static control. Staticworx – we keep you grounded. Our high performance static-free floors for PSAPs are attractive, durable, and ergonomically friendly. 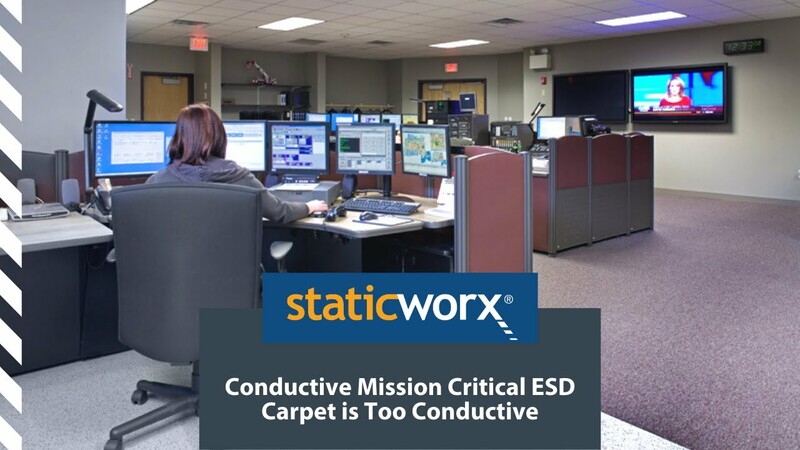 Staticworx glue-free conductive (GF) rubber and ESD carpet can be installed in operational environments without shutting down the space. Our GF rubber and ESD carpet comply with the most stringent static-control standards, including Motorola R56; ATIS 0600321.2015; NFPA 99; FAA STD 019f; Army Corps of Engineers UFGS 09 62 38; and ANSI/ESD S20.20 � 2014. Staticworx - we keep you grounded. 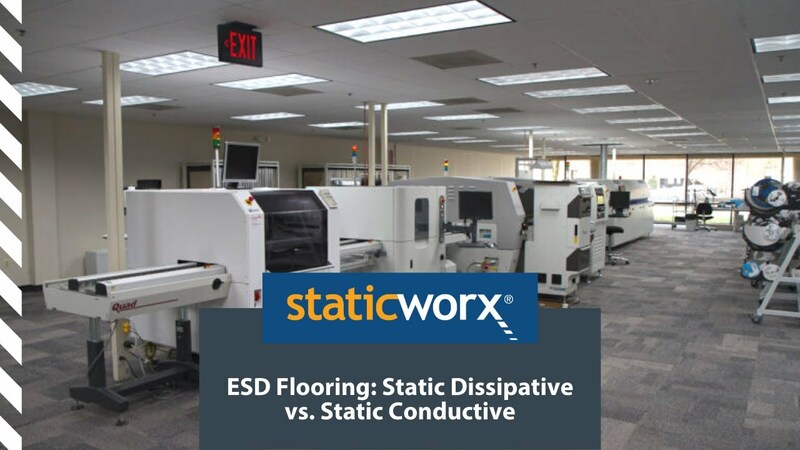 Conductivity is one of the most misunderstood aspects of ESD flooring. In this video, we take a humorous look at what can happen when buyers and specifiers rely too heavily on conductivity when choosing a static-control floor. In a brief lesson at the end of the video, we explain why low-charge generation—considering walking body voltage—is crucial for anyone hoping to prevent ESD damage in their workplace. Conductors vs Insulators: Does it matter? 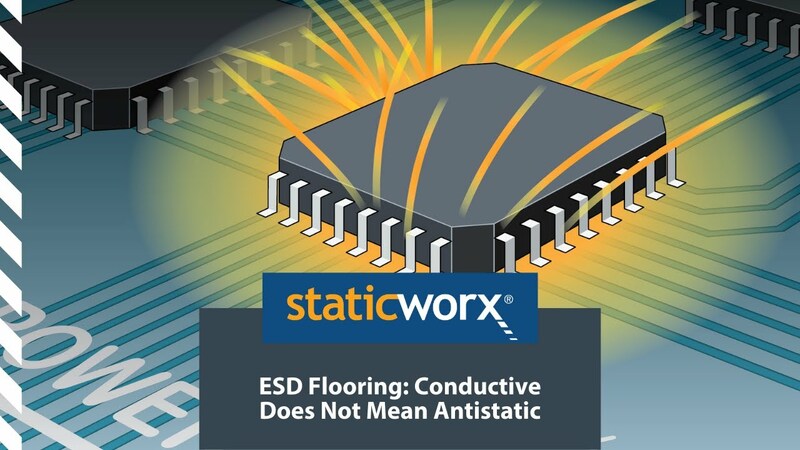 To understand basic principles of ESD and ESD flooring, you need to understand electrical conductivity. 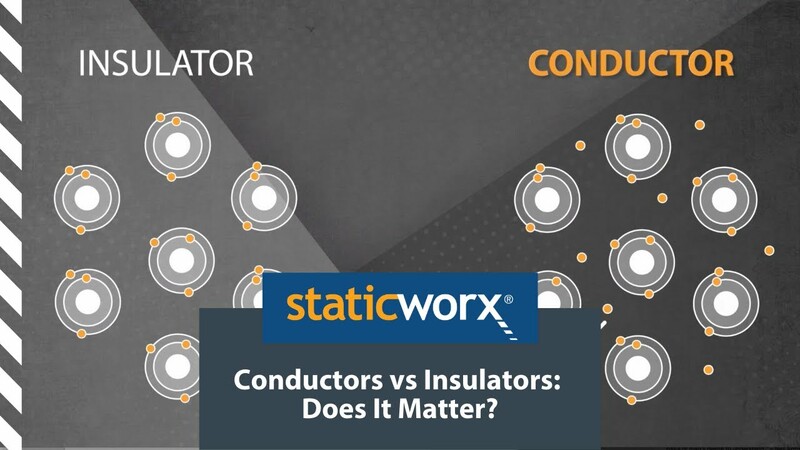 In this video, we review the difference between conductors and insulators, tell you why conductors and insulators respond differently to static electricity, and explain why conductivity is an important property of static-control flooring. What is electrical resistance? 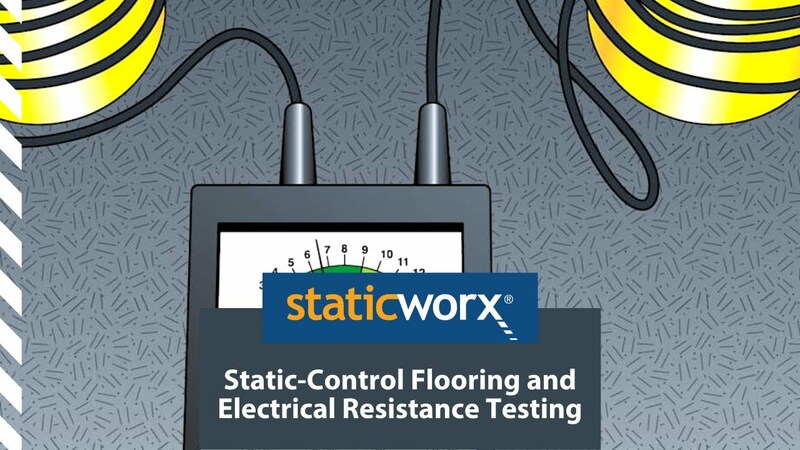 Why is resistance testing necessary for static-control flooring? 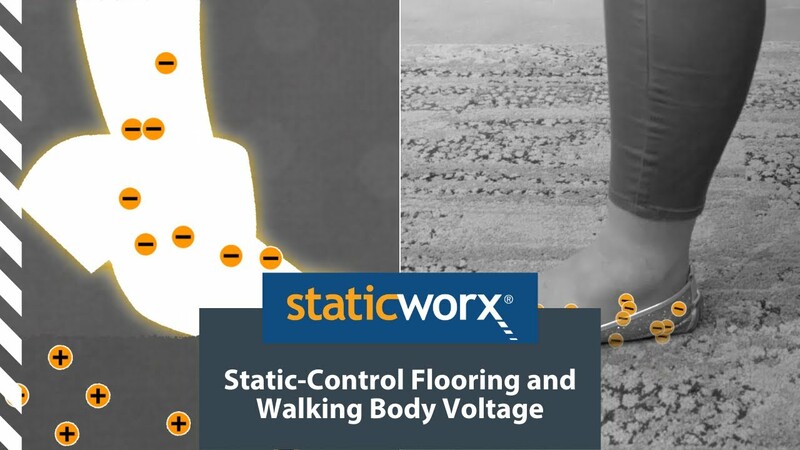 In this video, we explain how static-control flooring works, the relationship between resistance and conductivity, and why the industry requires resistance testing. We discuss resistance standards, explain best-practice parameters, and show you how to perform the industry-approved test to measure a floor's electrical resistance. 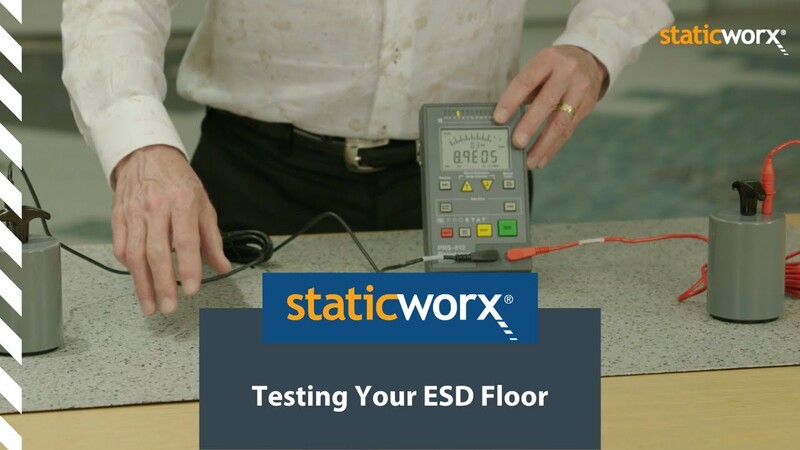 To be sure your ESD floor protects sensitive electronics, you must perform two tests: resistance and walking body voltage. 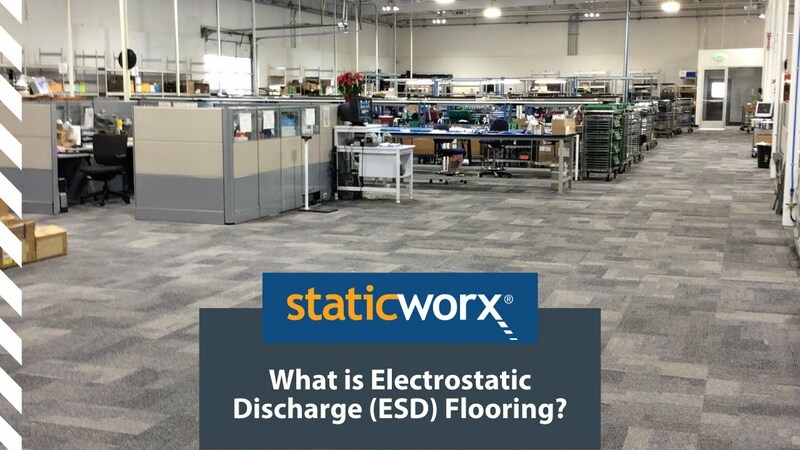 In this video, we explain the term "walking body voltage," and tell you why conductivity, or a floor's ability to ground static charges, is only one component of a fully functioning ESD floor. You'll learn why low-charge generation is an equally important consideration, and how to perform the industry-approved walking body voltage test. 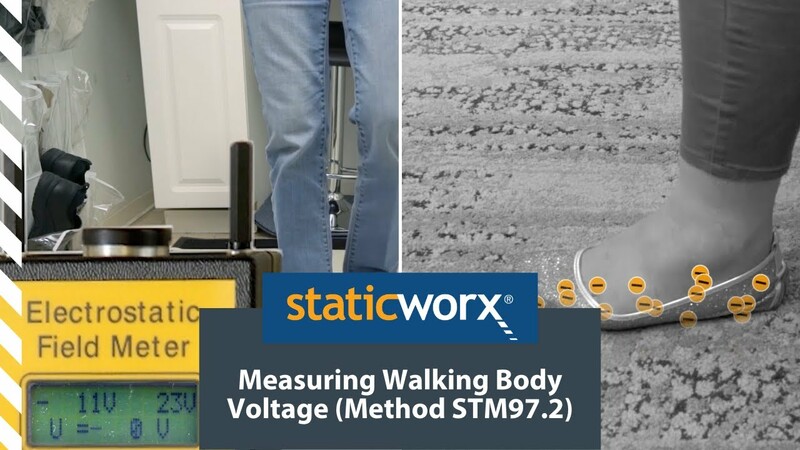 In this short video, we show you how to perform the ANSI/ESD-approved test, method STM 97.2, to measure walking body voltage. Are You Grounded - Safely? Some mission critical carpet tiles should not be used around computers and operational electrical equipment. Mission Critical carpet measuring between 2.5 X 10E4 and 1.0 X 10E8 is too conductive to meet electrical grounding standards for use in schools, computer labs and communications areas like 9-1-1 call centers. Short video about how to test the resistance of ESD flooring. A quick overview of the difference between the two resistance ranges known as static dissipative and static conductive. "Staticworx demonstrates that you can create an engaging YouTube channel even for products that few people would otherwise be interested in...These videos are great...after watching just one or two, I feel very well-informed about ESD, and, more importantly, would probably make Staticworx my first call if I needed more information." North America's leading building product marketing and architectural technology consultant.